BlackBerry OS: BlackBerry OS is a proprietary mobile OS developed by Research and Motion (RIM) for BlackBerry phones. BlackBerry's OS is best suited to business folk. BlackBerry Platform is best known for its native support for corporate email. RIM releases updated versions of the BlackBerry OS to support new BlackBerry Smart phones. 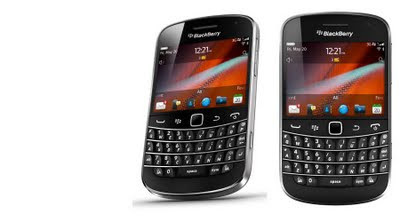 The latest release of Research In Motion, the BlackBerry Bold 9900 has hit the retail shelves of India with a bang. The new BlackBerry giant is powered with 1.2 GHz processor, 768MB RAM, dedicated graphics chips, and BlackBerry 7 Operating System (OS) to make you feel bold. The technology innovation doesn’t stops here; Bold 9900 is the first BlackBerry smartphone to include built-in support for NFC (Near Field Communication). So no more complexity, be bold and flaunt your BlackBerry Bold 9900 when it comes to technology. 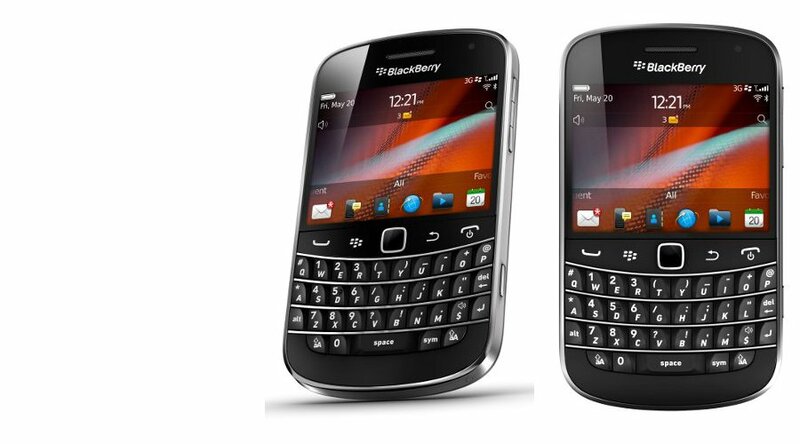 To provide you flexibility the Bold 9900 has a CDMA sibling, the Bold 9930. So, whether you are a CDMA or GSM user, Bold is with you to make you bold. The BlackBerry Bold crafted with premium material and brushed stainless steel frame has muscular look and feel. Interesting to notice, the BlackBerry Bold 9900 is the thinnest BB device, only 10.5mm, which makes it fit in hand perfectly giving a sleek, still sturdy look. The Research In Motion has entered the race of touch and type of phone after Nokia and Samsung with Bold 9900, better call Bold Touch. This phone is a combination of capacitive touch screen and a QWERTY keypad. Let’s see what bang BB is going to create in the mobile arena with its touch and type phone! To let you feel boldly in your professional life, this business phone has high-speed Internet connectivity, easy mail access, and document editor. Your professional life will not be strained when you have BlackBerry Bold 9900. Not to let you feel down, the phone is integrated with high-end multimedia features such as 5MP camera with flash, 720p HD video recording capability, games and MP3/MP4 multimedia player. The phone also enjoys greater connectivity with GPRS, EDGE, Bluetooth, and Wi-Fi. To let you feel bold even at strange places, your phone is provided with BlackBerry Maps and A-GPS supports. Facebook, apps, email, maps …….Yes, Yes I am talking about the new Nokia C2-02 Touch and Type phone. Get more with your Nokia C2-02 Touch and Type phone! Besides many applications, you will enjoy the flexibility of touch and type input mechanism with the new Nokia C2-02. Just touch the screen to open apps, flick your photo gallery, browse web pages, and slide out the keypad to type message. So, there’s no tension if you are used to physical keypad for fast and convenient typing. Enjoy the flexibility of touch navigation and keypad typing. Now, you must be feeling that you are getting more with the new Nokia C2-02. The new Nokia C2-02 weighs up to 110g and is 17mm thick – a bit thicker but okay you’re getting Touch and Type. This useful device has 2.6” resistive touchscreen display. Use stylus to express your style statement in public and enjoy the convenience with dedicated call key, end key, power key, lock key, volume key, and camera key. I find no exaggeration in my words – “Get More” with your Nokia C2-02. You will be surprised to know that this mobile is provided with customizable home screen, customizable profile, and changeable pre-installed themes. Enjoy connectivity with Bluetooth, GPRS, EDGE, and USB. One can easily share data with this device. Can’t remain away from your buddies? No worry, stay connected with your buddies with multiple social networking sites and various instant messengers. Yes, you can also type email to your boss when you are away from your home and Internet and computer is not in your access. Just activate GPRS setting for your device and type mail to your boss. You will be happy to get content rich browsing experience as your Nokia C2-02 has Flash Lite support. Download games, music and thousands of interesting apps from Ovi Store. You can even get many apps free of cost. The phone is perfect for a game-aholic. The phone comes with many pre-loaded games. The touch UI let you play games with more interest. Download your favorite games from the Ovi Store and PLAY on! Capture beautiful memories of your life with its 2MP camera with 4x optical zoom. You can also edit the image with the on-device image editor provided in your phone. Roll on your favorite music with the inbuilt music player. You can also plug-in the universal 3.5mm earphone to enjoy the beats of music. Your Nokia C2-02 Touch and Type lets you remain organized with organizers such as Calendar, to-do list, notes, calculator, and clock. Last but not least, Nokia C2-02 Touch and Type is your entertainment storehouse. With its 32GB expandable memory, you can store as many photos, songs, videos, games, and other apps in your phone you want. I hope, now you will also promulgate - “Get More” with Nokia C2-02 Touch and Type mobile phone. How to Click Good Photographs with Your Phone CAMERA? There is no exaggeration in saying that "A picture is worth a thousand words". So, people want to capture picture and share with friends and family to convey their stories and feelings rather than quoting a long story. Pictures are better than words in expressing your emotions. But no one can carry a camera all the time to capture those moments. However, a phone camera is always with you. You can click photos and share with your near ones. But the images captured by a phone camera is not that good due to bad camera quality, long shutter speed, lack of autofocus, and other camera defects. But once you know some photography rules and phone camera ethics, you can click good images with your phone camera. Good lighting condition: You should click in good lighting condition. Light the subject to get good photographs. Better is the lighting condition, clearer is the image. If your camera phone has autofocus, you will be able to click good images. So, prefer camera phone with focus light if you love photography. Get close to your subject and avoid using zoom: Get closer to your subject instead of using zoom. Digital zoom will decrease the quality of the image. Also zooming decreases aperture size and thus results in bad quality image. Don’t move your hand, keep still: Keep still and avoid blurred images. The shutter speed in camera phone is long and suffers from shutter lag. Therefore, you should keep still and avoid blurring of the image. Experiment with camera features: You should experiment with different camera features in your phone camera. If there is White Balance mode then you should experiment with it to balance the color in your image according to present shooting condition. If your camera phone has scene modes, then experiment with it. Change the scenes while clicking images according to the present scene to get better picture. Use Autofocus mode: You should use autofocus to focus the image automatically. Set camera resolution for your camera phone: You should use the highest resolution of your phone to get better images. The image size should also be set to the largest possible size. Take care of your lens: You should be very careful about your phone camera lens. Lens should be clean to click good images. Avoid it from getting scratched and dirty. Use your hand as lens hood: Whenever you feel that light is unnecessarily striking your camera lens then use your hand as lens hood to stop the light entering in the camera lens. Move your phone camera when clicking moving object: You should move your camera when clicking a moving subject to capture better image and avoid blurring of the image.